Luxury living at The Chandler in this spacious One Bedroom plus Den/ 1.1 Bath unit. 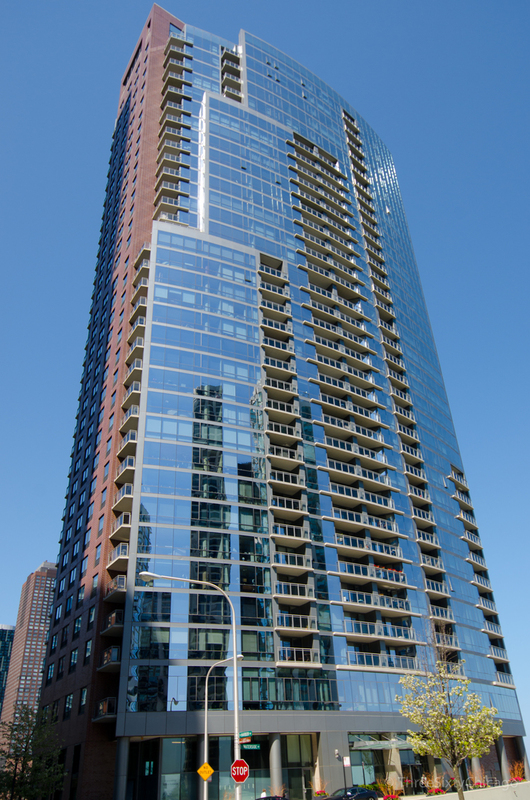 Enjoy amazing views of the Chicago River, Lake Michigan and Navy Pier. Unit features cherry hardwood flooring throughout, a large master suite with walk-in closet and marble master bath with dual vanity. Kitchen features stainless appliances, breakfast bar, granite countertops w full granite backsplash. Relax on your private balcony overlooking the river. Parking addt'l $50K. Full amenity building with newly renovated common areas, indoor pool, roof deck, hot-tub, fitness center, party room, 24 hr doorperson.